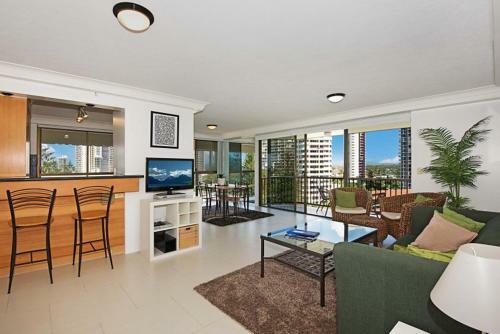 Situated 50 metres from Main Beach, De Ville Apartments each feature a private balcony and kitchen facilities. Guests enjoy an outdoor heated pool and a spa pool. 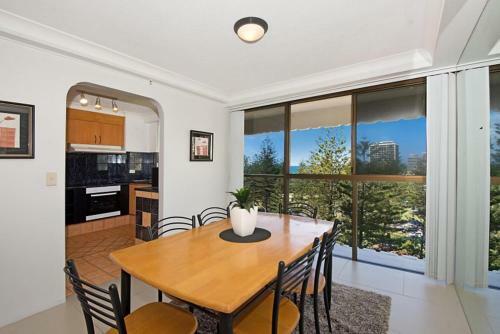 De Ville Apartments is within a 5-minute walk from Marina Mirage Shopping Centre and offers free parking. 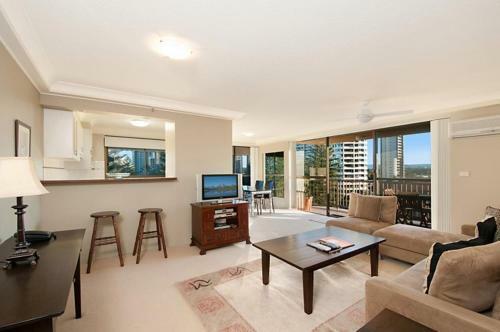 It is 1 km from Sea World and 3 km from Cavill Avenue. Set in tropical gardens, the spacious apartments all feature a comfortable lounge area with a sofa set and a flat-screen TV with cable channels and a DVD player. 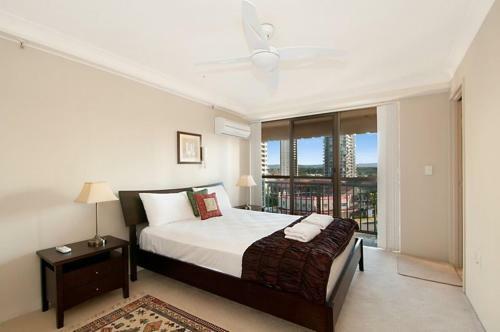 Most apartments are also air conditioned. Guests can play a game on the tennis court, then relax in the spa or sauna. Other amenities include a tour desk and barbecue facilities.